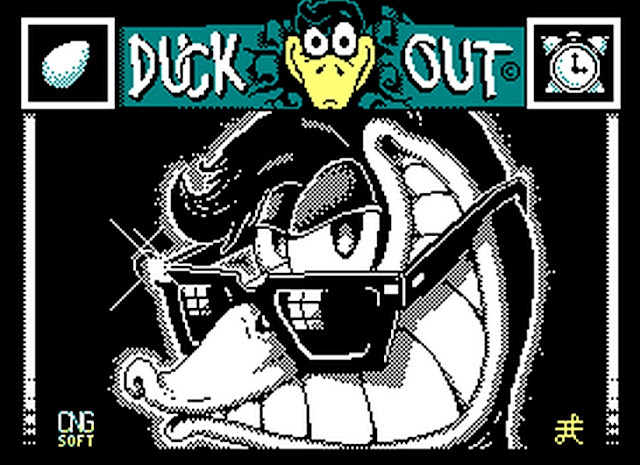 Indie Retro News: Duck Out - Beat em up speccy and msx game gets an Amstrad CPC port! Duck Out - Beat em up speccy and msx game gets an Amstrad CPC port! Awhile ago we gave everyone the heads up of a new Amstrad game that was in the works called 'Duck Out', which was to be ported from the ZX Spectrum but looking oh so much better with faster scrolling, easier controls and additional sound effects and music by Daniel Canales. First released in 1989 as a 2D side-scrolling beat em up, whereby the player controlled a duck with a frying pan, has once again appeared in our news feeds but this time as a final Amstrad CPC release by CNG Soft, who also released a new version of the 2017 #CPCRetroDev competition, Basket Cases. 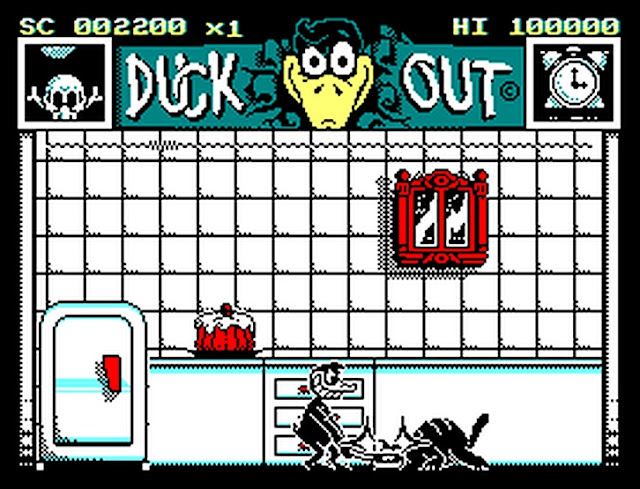 'Duck Out', was originally released by Dro Soft and the story goes the player controls a duck with a frying pan, who escapes from a restaurant and goes to a park to date a girl. Along the way this crazy duck ends up fighting numerous enemies such as chiefs and cats while avoiding cakes and knives. Certainly a game not to be missed!